There is no shortage of Chromebook options these days but we still get a twinkle in our eyes when a new device hits the market. One of the latest machines comes from the Nevada-based company Sector 5. Much like CTL, Sector 5 is an EDU-focused company that produces rugged Chromebooks designed for the rigors of the classroom. Sector 5 also specializes in assisting schools in setting up and managing devices via the Chrome management console. Along with that, they offer a variety of solutions such as GoGuardian that assists teachers and administrators in managing students digital classroom with real-time views, filters and monitoring. 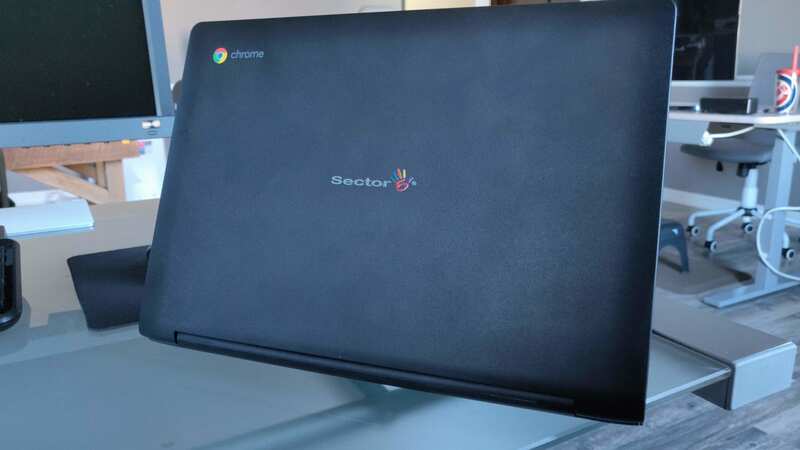 Their latest Chromebook, the Sector 5 E3, comes equipped with a quad-core Apollo Lake processor (N3450), 4GB RAM and 32GB of eMMC storage. On the outside, the Chromebook E3 hosts a 180-degree fold-flat design, 11.6″ multi-touch display, 2 each USB-C and USB-A and a MicroSD card slot. While geared towards education, Sector 5 Chromebooks are available to the general public and you can pick one up directly from their site. Regularly priced at $349, Sector 5 is debuting the Chromebook E3 for $315. We just got our hands on the E3 and will be putting it through the paces over the next couple of weeks to bring you our thoughts. I had a chance to speak with Sector 5 CEO Erick Kuvshinikov and I can tell you that he is just as passionate about Chrome OS as we are. We’re looking forward to seeing more from these guys as they expand their Chromebook résumé. You can learn more about the Chromebook E3 and Sector 5 at the link below.